RELIABLE MAN (GB) (Grey 2008-Stud 2013). 5 wins from 2000m to 2400m, £80,400, €1,079,070, US$15,311, A$309,000, Chantilly Prix du Jockey Club, Gr.1, ATC Queen Elizabeth S., Gr.1, Longchamp Prix Niel, Gr.2, 2d La Coupe de Maisons-Laffitte, Gr.3, 3d Longchamp Prix Ganay, Gr.1, Grand Prix de Paris, Gr.1. Half-brother to SW I'm Imposing (ATC Summer Cup, Gr.3) and SW Gale Force. Sire of the placegetters Belle du Nord, Kapoor, etc. His oldest progeny are 2YOs. Serein (f. by Postponed). Winner at 2, 2d CJC Welcome S., L, 3d ARC Colleen Mangnall Prestige Real Estate 2YO H., 4th Waikato RC Star Way S., L.
REZONE (Electronic Zone). 6 wins from 1600m to 2200m, A$250,650, BTC Premiers Cup, Gr.3, QTC Peter Gallagher S., L, Ascot Bar P., Nivea Sun P., 2d QTC CEB Barnes P., BTC Moraitis Fresh Produce H., QTC Lyndhurst Stud H., Hi Jinx P., XXXX Gold H., Annette R Cramp H., 3d Queensland Cup-twice, QTC Hainan P.
DANYON (Success Express). 7 wins from 1400m to 2400m, A$495,060, Wyong Cup, L, AJC Princesses Welcome Welter H., Coffs Harbour Cup, AJC Coogee H., Condell Park H., Homemakers Supa Centa Moore Park H., 2d AJC Metropolitan H., Gr.1, Warwick Farm Spring Cup, L, Wyong Cup, L, AJC Campbellfield H., 3d Newcastle Gold Cup, Gr.3, 4th VRC Queen Elizabeth S., Gr.2, City Tattersall's Club Cup, L.
Maggie's Secret. 2 wins at 1400m to 2015-16 in NZ. LAS RAMBLAS (Toreador). 5 wins-2 at 2-from 1000m to 2000m, R652,307, Scottsville Michael Roberts H., L, Greyville Metropolitan Health P., Scottsville Caspeco P., 2d Turffontein South African Fillies Classic, Gr.1, Clairwood Gold Circle Oaks, Gr.2, Greyville NCO's Mess P., Scottsville Natal Associated Agencies P., 3d Scottsville Scarlet Lady H., L, Greyville All to Come P.
Frusk (Captain Al). 3 wins from 1600m to 2050m, R214,581 in South Africa and Mauritius, 3d Kenilworth Winter Derby, Gr.3. Tres Forte. 4 wins from 1600m to 2400m, R269,800, Scottsville Umthombothi H., EPOL H., 2d Greyville Kent Motors H., Scottsville Tiger Wheel & Tyre H., 3d Greyville F Verbaan Builders H., Scottsville New All to Come Bet H., 4th Greyville Michaelmas H., L.
Rebel's Ransom. 3 wins from 1200m to 1600m, R160,212, Greyville Soccer 6 H., 3d Kenilworth Itsarush.co.za H.
Ticket Clipper. 2 wins at 2050m, 2100m in 2015-16, Wanganui JC Colin Ross 80th Birthday H., 3d Hawkes Bay Betavet H.
Yaloginda (Trade Fair). 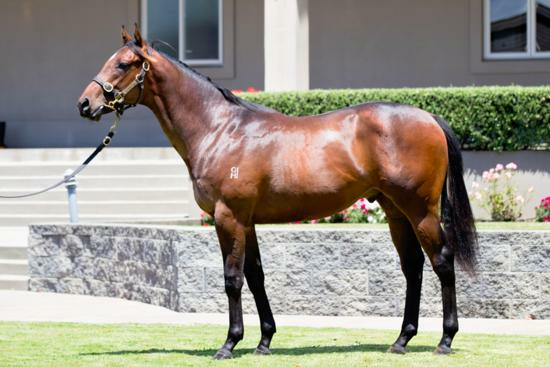 3 wins from 1200m to 1600m, A$114,917, to 2015-16, 2d WATC Westspeed 2YO P., Westspeed Nursery H., Crown Perth 2YO H., 3d WATC Sires' Produce S., Gr.3, Westspeed 2YO P.-twice, 4th WATC Belmont Oaks, L.
Kamballie (Blackfriars). 3 wins at 1300m, 1600m, A$96,850, to 2015-16, 2d WATC Westspeed 2YO P., Westspeed Nursery H., 3d WATC Gimcrack S., L.
Lifo. 6 wins-1 at 2-from 1250m to 1800m, HK$3,028,103, HKJC King Kwong H., Clear City H., Ongley Park H., 2d HKJC Harbin H., 3d HKJC Po Toi Island H., Tai Hing H., Ting Kau H.
California. Winner at 2, Waikato RC Nursery H.Died at 3.